LIVE EVERY MOMENT. LAUGH EVERYDAY. LOVE BEYOND WORDS. I love growing things on my veranda, and cooking with the things I grow makes me so proud of myself. But sometimes I can end up with a bit too much produce, and it’s hard to handle it all in my kitchen. I started thinking about how the kitchen could be designed so that it’s perfect for someone who grows their own fruit and vegetables. There are lots of things you might do with the things you grow. Some people put them straight into their dinner or give them away to friends. You can also make preserves, store them or even freeze some things. Here’s how I think you could set up your kitchen. You don’t have to use the space outdoors to grow your produce. Some things can grow just as well inside, especially when they’re in a sunny spot. One of the best things to have in a kitchen is a small herb garden. You can easily put it on a window ledge, and you can snip off handfuls of herbs whenever you want. Your herb plants can sit out of the way, so they don’t take up any room. If you wish to avoid messy soil inside, you can use a sophisticated electronic herb garden pot. They make it very easy to grow your herbs. I wish garden produce were magically clean when I harvest it. But unfortunately, it’s not! Bringing in things from outside can mean muddy potatoes or dusty peapods. I think a large sink and possibly a double basin would be a good idea. Then there’s plenty of space to wash everything you bring inside. Plus, you have somewhere to peel and prepare fruit and vegetables too. You could have a modern chrome kitchen sink or an old-fashioned ceramic one if you want a homely feel. Lots of people who grow fruit and vegetables also preserve the things they grow. Sometimes that just means packaging them correctly or perhaps pickling them. And sometimes it might mean making jams and jellies that will keep for months. But to do all of this, you need some space. I think a preserving station would be a great idea, but I would need some help from interior designers to create one. Storage for clean jars and preserve making equipment would be a good place to start. There would also need to be plenty of surface space to work with. Maybe a kitchen island would be the best way to have all the space you need. Another thing that would be essential is lots of storage space. Sometimes I don’t know where to put all the things I grow. Lots of things need to be kept somewhere cool and dark, so a pantry or some deep cupboards would be ideal. A large refrigerator is also an excellent idea to keep all the things you grow. I love my little garden, and it would be great to have a kitchen that helps me use all my produce. Maybe I’ll have to redesign it soon. contributed post. Image source on link provided in photo. 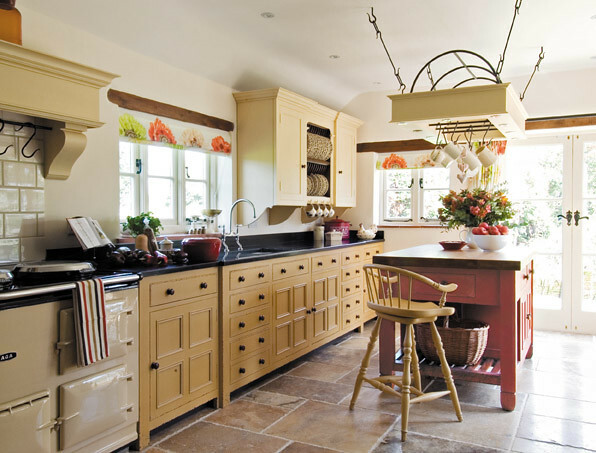 You’ve created this is the perfect kitchen & lots of storage space is essential. Your step by step tips is very helpful. I have read happily. I agree the double basin would be a good idea. I’ve benefited from here. Thanks for sharing the article. Keep posting!!! How Quickly Can You Move House? I celebrate every moment and every person because life is all about appreciating what was, what is and what’s to come. Join me. Let’s celebrate our everyday together.